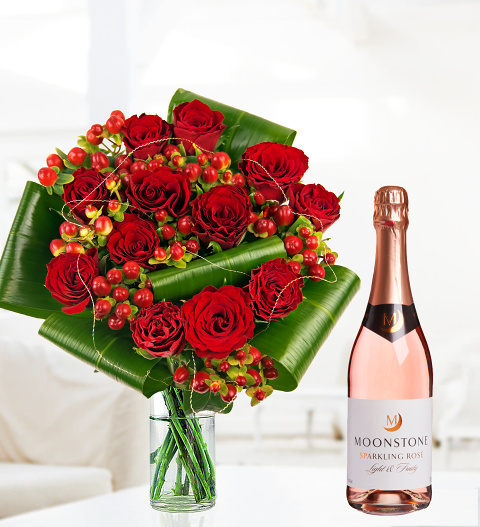 An amazing and elegant selection of flowers paired with a bottle of Moonstone Rose for a bold statement! Share in the Valentine&apos;s Day celebrations and make your loved one smile with this superb gift.
) Chocolates may contain nuts.